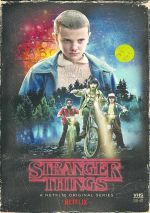 In the same vein as 2011’s Super 8, the Netflix series Stranger Thing offers a love letter to early 1980s sci-fi/fantasy. Indeed, the story even takes place in 1983, a factor that allows it to embrace its inspirations more heavily. This two-disc Blu-ray package boasts all eight of Season One’s episodes. The plot synopses come straight from the disc menus. As noted at the story, Things wears its influences on its sleeve, with obvious nods toward ET the Extraterrestrial and Close Encounters of the Third Kind, among others. The show manages to go down its own path to a degree, though, and “Vanishing” becomes a reasonably efficient introduction to the narrative. 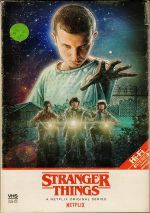 More sleeve-wearing occurs here, as the Mike/Eleven relationship hearkens back to Elliott/ET – especially when Mike shows the girl his possessions. Even without that, “Weirdo” doesn’t come together in a terribly concise way, mainly because it often feels like a few different tales crammed into one. Hopefully the series will pick up soon, but so far, I can’t claim it enchants me. With “Holly”, we continue to see the strong influence of various films, and a Poltergeist flavor becomes obvious via Joyce’s activities. That said, “Holly” manages to offer the most interesting episode to date, as it provides forward momentum that finally makes me want to see what happens next. After the increased drama of “Holly”, “Body” feels like a bit of a letdown, but not a major one. While it lacks the same drive of its predecessor, it still manages to advance the story in a reasonably satisfying manner. Man, will the series ever let Lucas act like anything other than a jerk? The show makes him seem like such a prick that it never feels clear why the other kids are pals with him. Despite my increasing annoyance at that one-note character, “Flea” manages some good elements, mainly because it advances alliances and sends matters closer to some form of real revelation. We get a solid push ahead as the season’s second half begins. At best, “Monster” delivers decent exposition. I can’t claim it does much more than that, though, so a few predictable developments make this a somewhat spotty show. With little time left in Season One, “Bathtub” ramps up the action to a decent degree. It does what it needs to do, but I can’t say it really revs up the narrative to the level of excitement I’d expect. It’s another decent show but not one that excels. Despite the expected action-packed finale – with ample nods toward Alien - I can’t say “Down” finishes Season One on an especially high note. It concludes matters in a fairly basic manner and lacks a lot of real energy. The same goes for S1 of Stranger Things as a whole. While its eight episodes kept me interested, they never turned the series into something that made my dying to see what happened next. This became serviceable entertainment but not anything that boasted real inspiration. Stranger Things appears in an aspect ratio of approximately 2.00:1 on these Blu-ray Discs. As expected, the shows looked pretty good. Overall sharpness worked well, though interiors and dark shots could seem a bit on the soft side. Still, they usually displayed nice delineation, and the episodes often offered excellent accuracy. No issues with shimmering or jaggies emerged. The episodes also lacked edge haloes or source defects, though the opening credits always included intentionally added specks. In terms of palette, Things went with a mix of teal and amber much of the time.. The hues looked well-depicted within those choices. Blacks appeared dark and tight, while shadows could be a bit dense. Though low-light elements offered fairly good delineation, they could be a little thicker than I’d like. Still, the shows largely looked positive. I also liked the DTS-HD MA 5.1 soundtrack of Things. For the most part, the mixes hewed toward the front, where we got nice stereo music and consistently good sense of environment. With occasional action on display, the rear speakers added a fair amount of information as well. Supernatural elements and creatures fleshed out the spectrum in a reasonably satisfying manner. Audio quality seemed pleasing, with natural, concise dialogue. Music sounded bold and full, while effects appeared accurate and dynamic. The shows came with more than satisfactory soundtracks. Disc One opens with ads for Stranger Things Season Two and The Defenders Season One. The set offers no real extras, though we do get a DVD copy of Stranger Things. With a 1980s setting that makes ample nods toward classic period movies, Stranger Things sounds like fun – and it occasionally is. However, the series never quite gets into gear, so it maintains moderate entertainment value but not more than that. 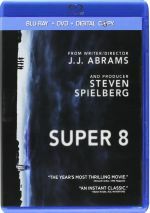 The Blu-rays provide very good picture and audio but they lack supplements. Maybe Season Two will excite me, but S1 leaves me less than enchanted.